Another riot and protest clashed along the borders of Gaza and Israel. This is the 3rd consecutive Friday when violence took place of gun fires, tear gas and stone-throwing. 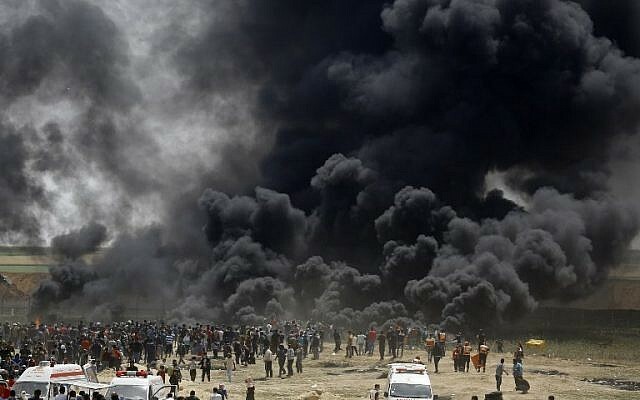 A reported and recorded 34 casualties and hundreds wounded and injured Palestinians. On April 13, 2018 Palestinians burned tires at the border fence set by the Israelites. Israel’s claimed an estimated 10,000 people rioting attempted to damage and breach the border fence, where firebombs and explosive devices were used. Palestinians also sought to pull away barbed wire set up by Israeli forces to keep them away from the fence.